Nikko & the Spark | Education | Products | Tenrehte Technologies, Inc.
Nikko Tesla is not your average child inventor. He sees the magic in nature and wants to create things based on the way he sees the world. 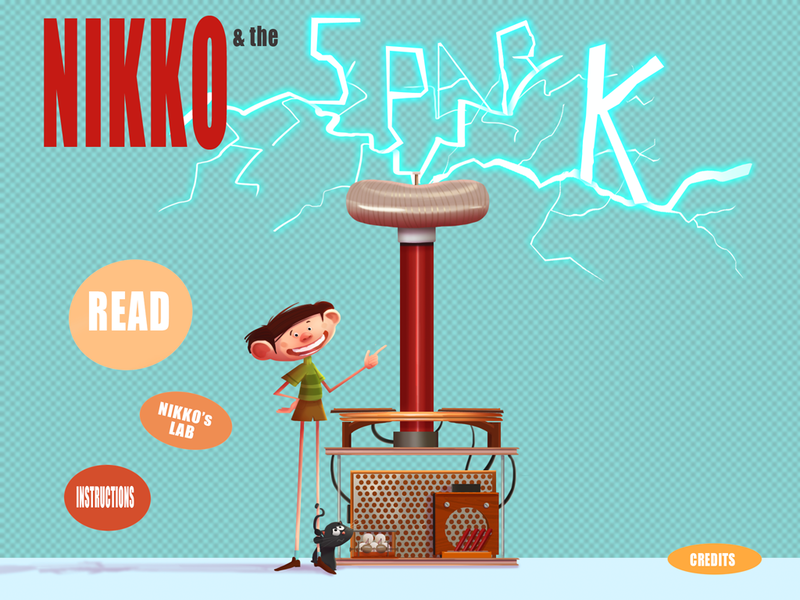 Nikko & the Spark is an interactive storybook app based on the life of famous inventor, scientist, and entrepreneur - Nikola Tesla. Follow Nikko's journey from farmer's son to world famous scientist and inventor. Meet Nikko's trusted friend and pet cat, Macak, who influenced many of his early ideas. Travel with Nikko to New York, to fulfill his dreams and build some of the amazing inventions we use everyday. The fun is not done after the story. You can play in Nikko's Labs, a section of selected labs and fun games based on Nikola Tesla's work in electrical engineering. We want you to develop your creativity, to see the electrical forces in natue around you: to PLAY, To CREATE, To EXPLORE.